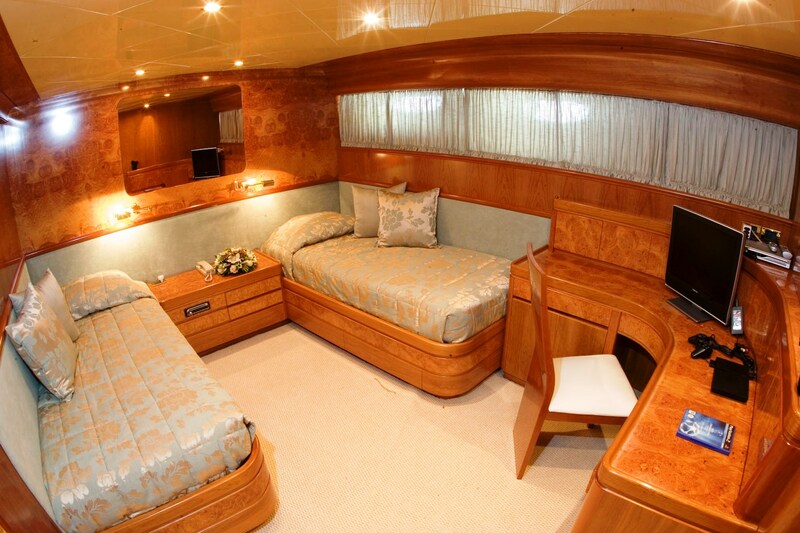 M/Y KARYATIS is a 24,50m (80' 4") Posillipo built Charter motor yacht. 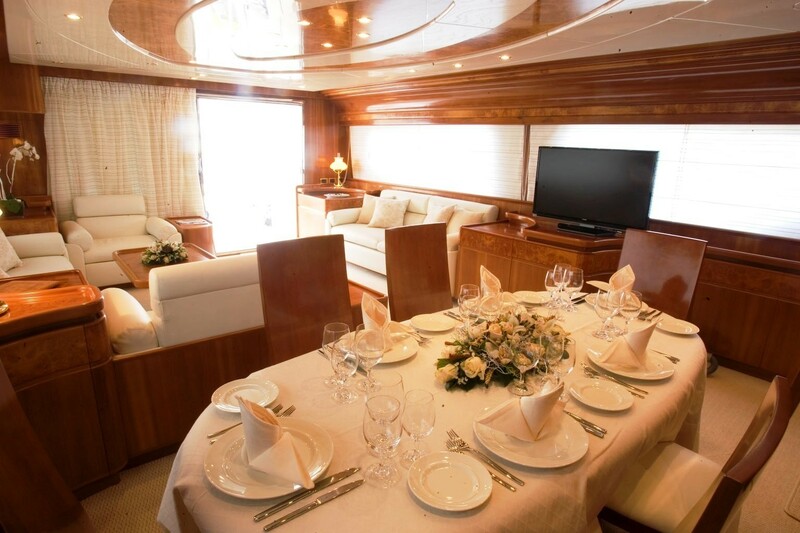 KARYATIS is based in Athens, Greece and the Eastern Mediterranean and can accommodate up to 8 guests in 1 master and 3 twin cabins. 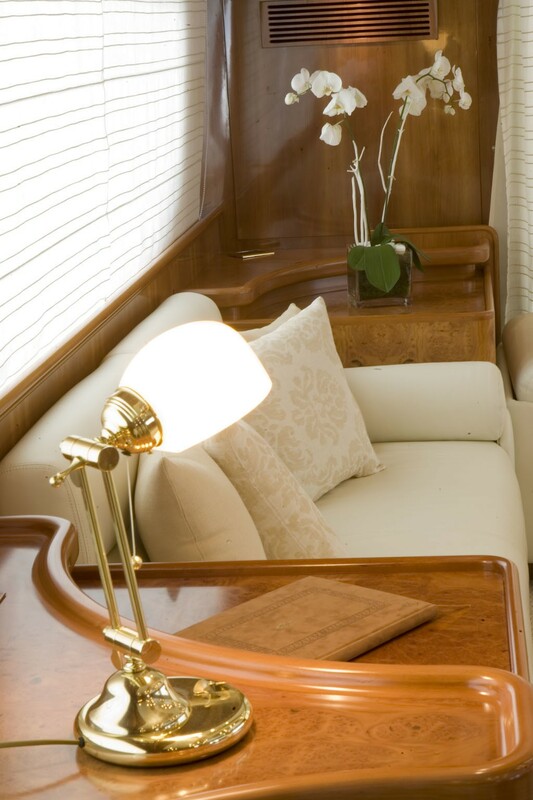 Motor yacht KARYATIS features light tones and an open design with plenty of natural light available in the salon from the large windows on each side of the yacht. The spacious, well-appointed and comfortable salon provides seating for all guests, along with LCD TV, DVD and CD players for entertainment. 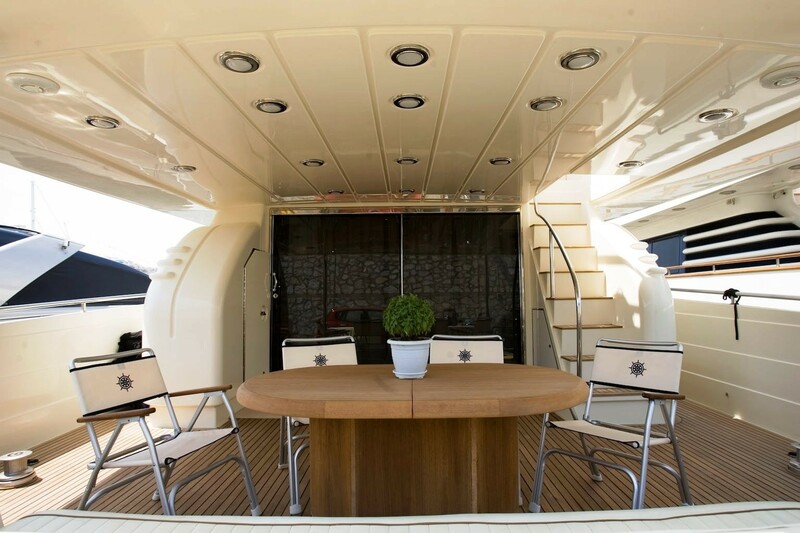 There is a lap-top with internet connection, a fax machine and a GSM phone on board so that guests can stay connected at all times. The dining room adjoins the salon. 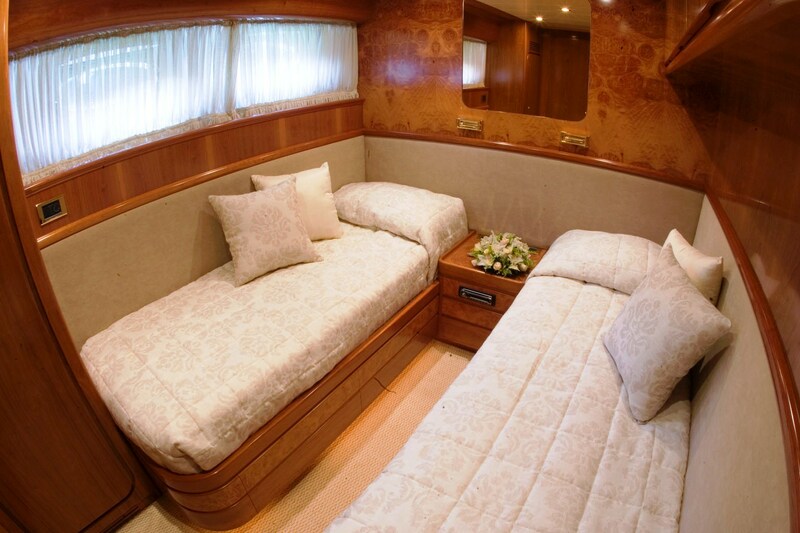 All of the cabins which are located on the lower deck have flatscreen TVs, satellite and cable, DVD players and CD Radios. 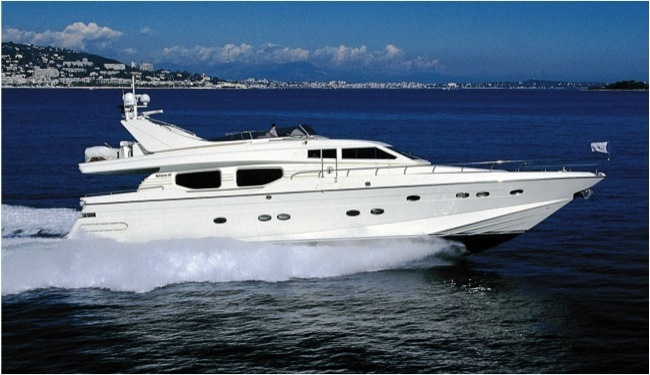 KARYATIS, a beautiful, fast, and refitted Posilipo motor yacht cruises between 26 knots – 32 knots and has a qualified crew of 4. 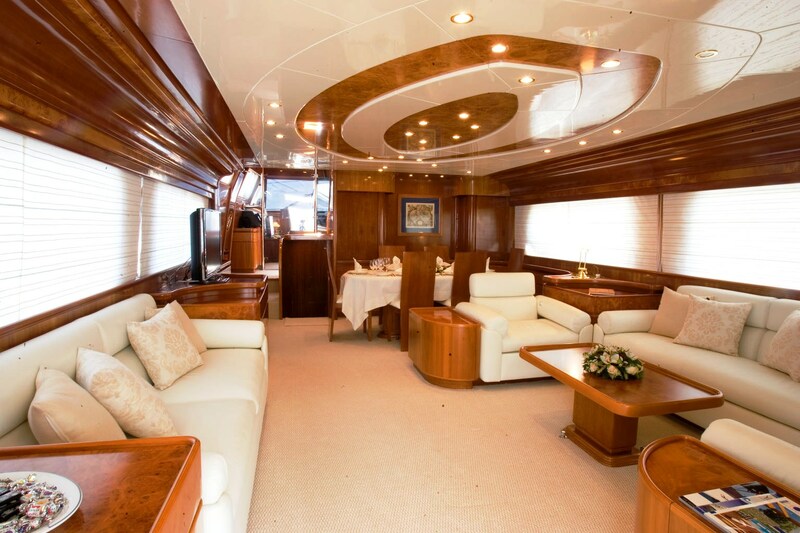 Motor yacht KARYATIS can accommodate 8 guests in 4 cabins. 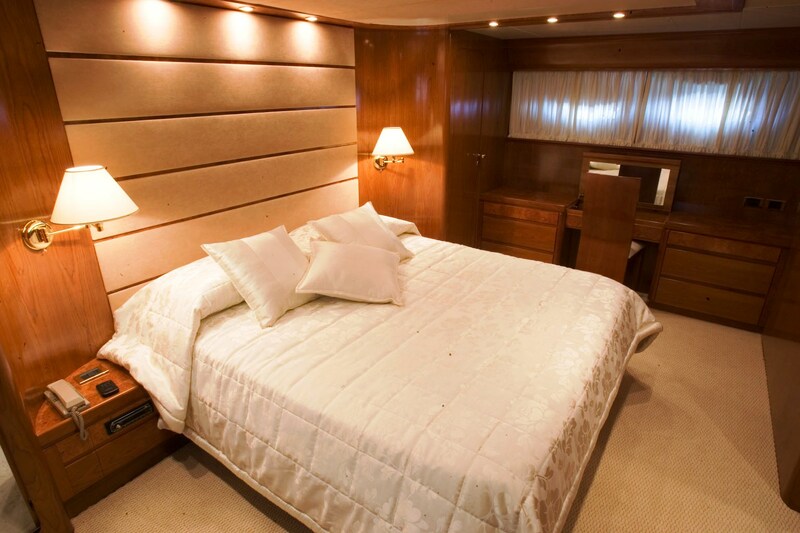 The cabins are located on the lower Deck and include a full width Master Cabin with Queen sized bed and en-suite bathroom and 3 twin bedded cabins with en-suite bathrooms. 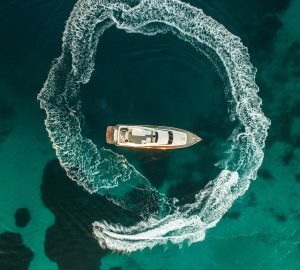 KARYATIS, the Greek charter yacht has the following Tenders and Toys: A Zodiac with 50hp Yamaha outboard 4 stroke, Skiing equipment, Donuts, Fishing Equipment and Snorkelling Equipment. Communications include a GSM Phone and Fax. Audio Visual Equipment and Deck Facilities include an LCD TV and DVD-CD Player in the Salon and a LCD TV, DVD-CD Player in the Guest Cabins. There is also a Satellite TV G6.